Once an unique phenomenon of lunar eclipse that occurred on 15 April 2014 and make the Earth's satellite-like reddish colored blood. Now turn we were accosted by a solar eclipse that will take place on April 29, 2014 (in some parts of Indonesia). The events that will take place on Tuesday, April 29, 2014 is not a total solar eclipse. Because, at that time, the position of the Moon is near its greatest distance from the Earth and make it too small to cover the Sun shadow. 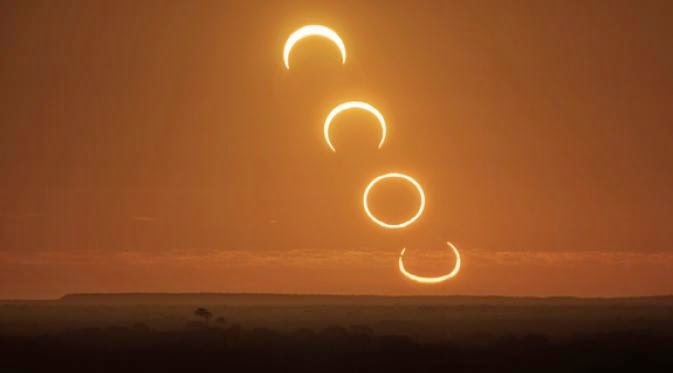 However, it produces an effect that makes the Sun will look like a 'ring of fire' - a 'anulus' that surrounds the Moon disc that looks darker in the sky in some remote parts of the world. Unfortunately, most people will not see the eclipse as a whole. The only place in the world where the ring solar eclipse visible is smaller remote areas in Antarctica. 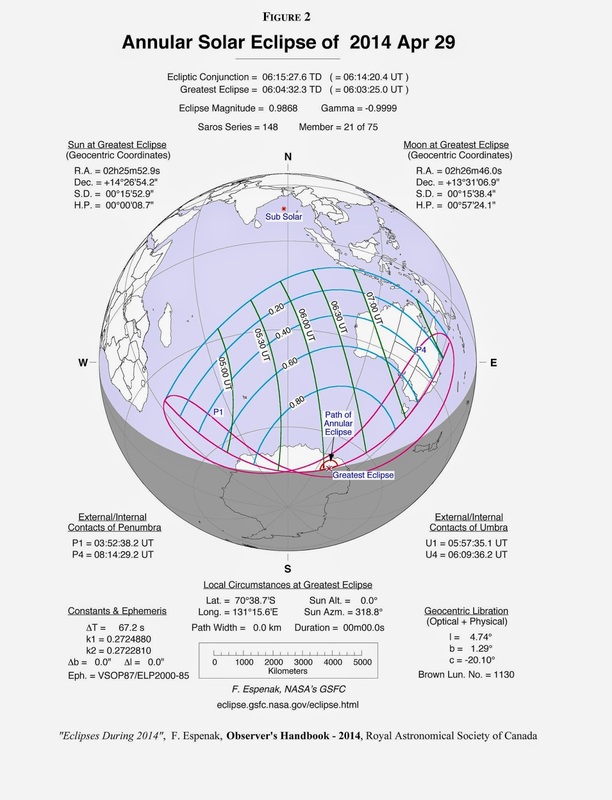 However, the phase of the eclipse will be partially visible in some areas, including in the Australian continent. Best view of this phenomenon will be seen from the state of Tasmania. From Hobart, the capital city of Tasmania, the sun eclipse will begins when the Moon covers a small portion at the edge of the Sun at 15:51 local time or at 12:51 (Western Indonesian Time). The maximum eclipse will occur at 18:00 local time or 14:00 (Western Indonesian Time), then the Sun will sink at 18:17 local time. WARNING: Do not look directly at the sun during an eclipse with a telescope or the naked eye. As a result it can be dangerous, causing damage to the eye. Scientists use special filters to be safe when looking towards the sun during an eclipse. Partial solar eclipse has the greatest potential for causing damage to the eye because there is never a moment when the Sun is completely covered by the Moon. The sun itself is not dangerous during an eclipse. Danger comes from people's desire to see it, to refrain from natural reflex that drives the Sun that we see not as usual.